Ancestral home of Scottish monarchs, world-famous for its golf and some of Scotland's best scenic attractions, the Kingdom of Fife has a distinct identity. Despite its small size - barely fifty miles at its widest point - Fife encompasses several different regions, with a marked difference between the semi-industrial south and the rural north. Southern Fife is dominated by Dunfermline, a former capital of Scotland, and the 'Lang Toun' of Kirkcaldy, Fife's largest settlement. The Forth Road and Rail Bridges are the most memorable sights on this stretch of coastline. North of Kirkcaldy, in Central Fife, the highlights are the historic village of Falkland with its impressive ruined palace and the country town of Cupar, a charming market town set in rolling countryside. In the northeast corner of Fife, the landscape varies from the gentle hills in the rural hinterland to the windswept cliffs, rocky bays and sandy beaches on which scenes from the film 'Chariots of Fire' were shot. 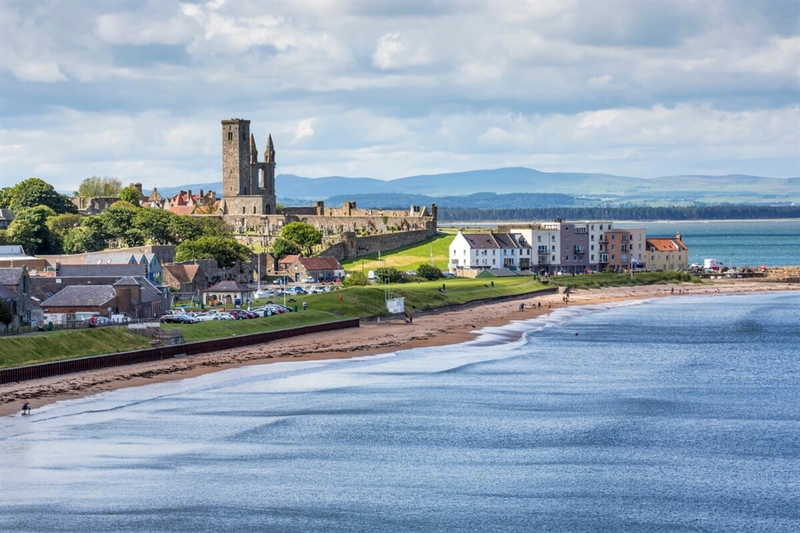 Fishing still has a role here but ultimately it is to St Andrews, Scotland's oldest university town and the home of the world-famous Royal and Ancient golf club, that most visitors are drawn. The town itself and the hills and hamlets of the surrounding area retain an appealing and old-fashioned feel. South of St Andrews, the tiny stone harbours of the fishing villages of the East Neuk - Anstruther, Crail, St Monans and Pittenweem - are an undeniably appealing extension to any visit to this part of Fife. 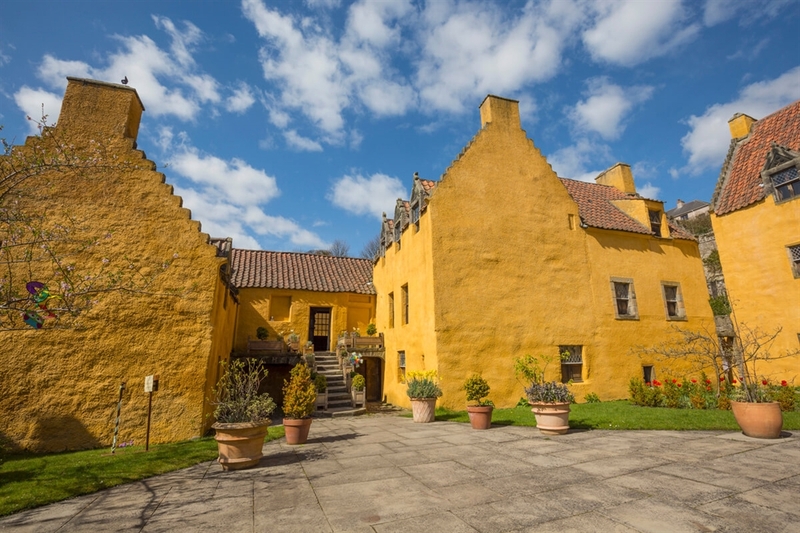 Home to Scotland's capital for six centuries, Fife has always been at the heart of the nation's history, evidence of which can still be found in its wealth of castles, cathedrals, and places of historic interest. The Kingdom of Fife is also known throughout the world as the Home of Golf and boasts more than forty courses, from the famed fairways of St Andrews and several traditional seaside links to beautifully landscaped parkland and heathland courses suitable for golfers of all levels. 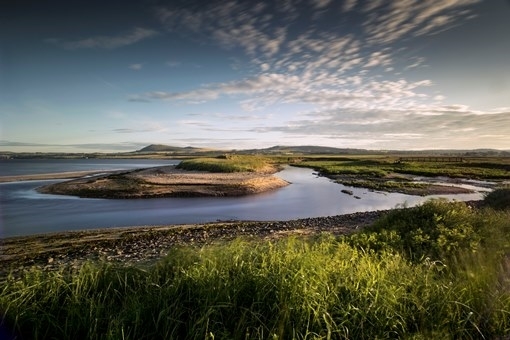 The Fife coastline is a very special environment which has distinctive rock formations, delicate flora and a varied wildlife. Long sections of the Fife Coastal Path up to Crail can now be enjoyed by recreational and serious walkers. There is a variety of linear and circular routes which have been graded and waymarked. For nature lovers, the path is a real walk on the wild side. Look out for grey seals and, in summer, basking sharks and dolphins. The offshore islands of Inchcolm and Inchkeith are home to thousands of seabirds, with vast numbers of puffins found on the Isle of May.